New Years Sales to Cheer For! As seen on my Instagram, Banana Republic is having a great sale right now. 50% off sale and even other random items! No code for this one, but it’s applied at checkout for both in store and online !! 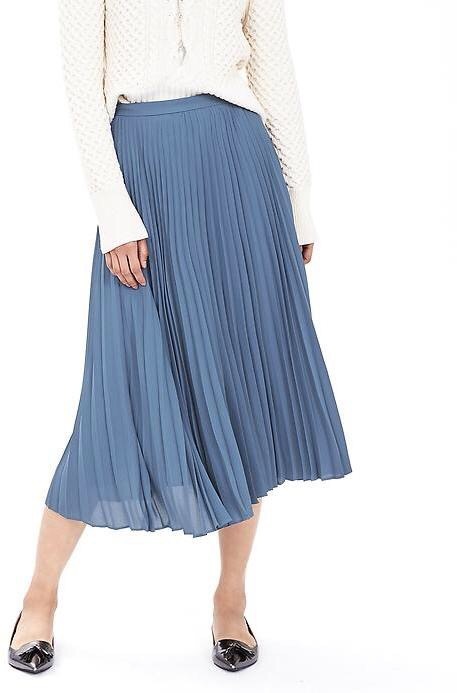 This darling pleated skirt is a great deal and still has all the sizes. Get it here. 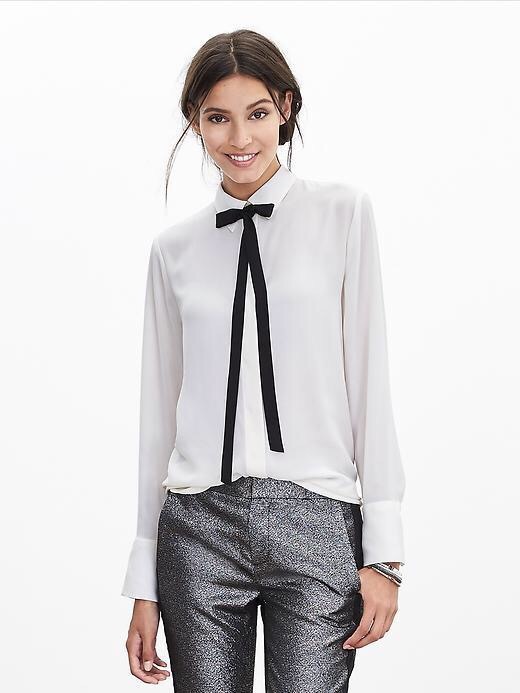 Similar to one of my most popular Instagram posts, this tie neck top is sure to please with great quality! Cuddle up and watch the ball drop while buying this cutie here. Great to pair with my shirt choice above, these darling pants are great for both work and play! Get them here. A jacket I’ve been eyeing for quite awhile, I’m glad to see it be reduced to around $35. With embellishment like this, it’s worth it to me! Get this darling here. Also, I love to give you deals at cute little online boutiques! Today’s the day, my dears! At steviehenderson.com/shop, you can get 20% off your purchase by using the code HAPPYNEWYEAR! Hurry! Here are some of my picks from her adorable site! 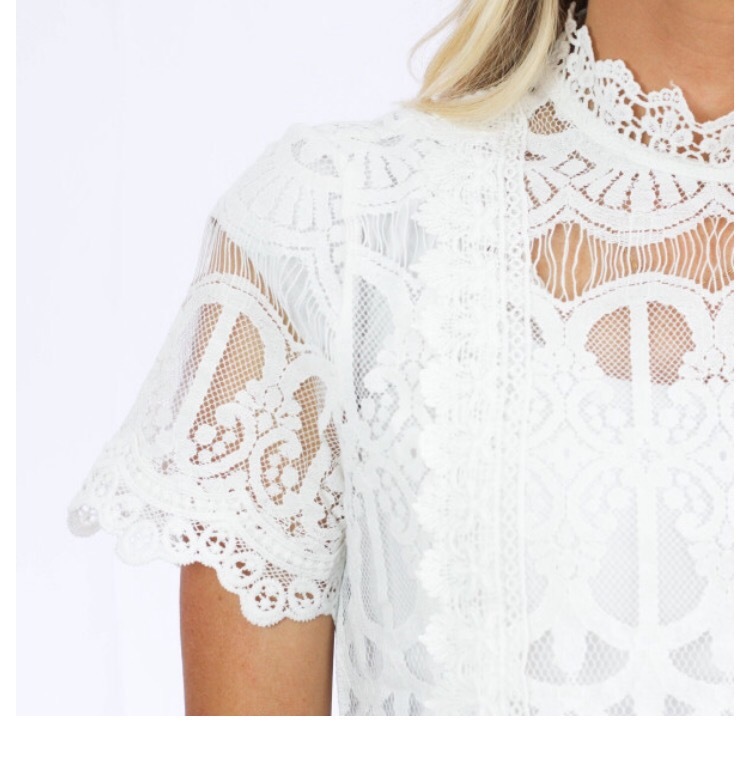 Elizabeth lace top/ get it here. Cozy sweater tunic/ get it here. This time last year I wasn’t excited about clothes anymore because I had gained so much weight from my first few months of marriage but luckily I am back to normal (now!! )and my love for clothing and shopping is in full force! 😳That’s why my love for a good deal never waivers.